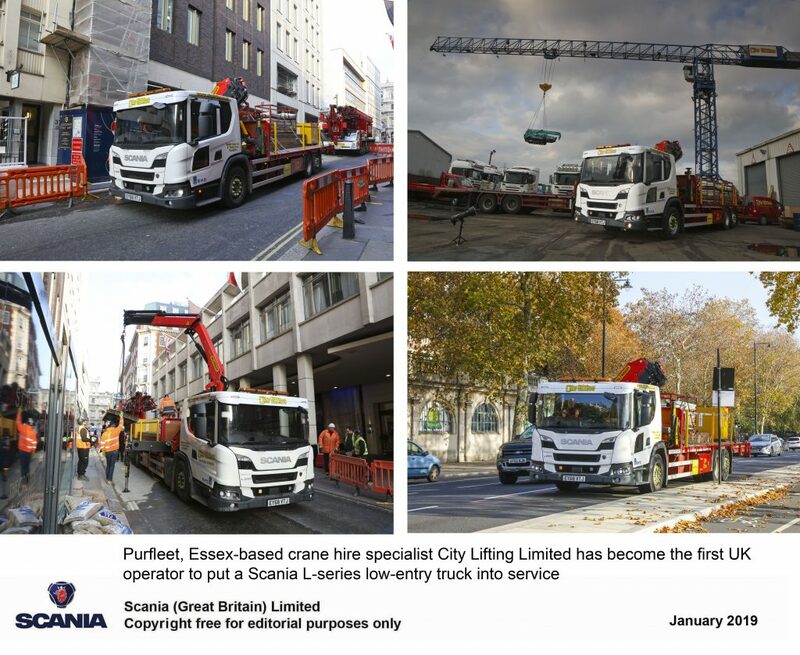 Purfleet, Essex-based crane hire specialist City Lifting Limited has become the first UK operator to put a Scania L-series low-entry truck into service. 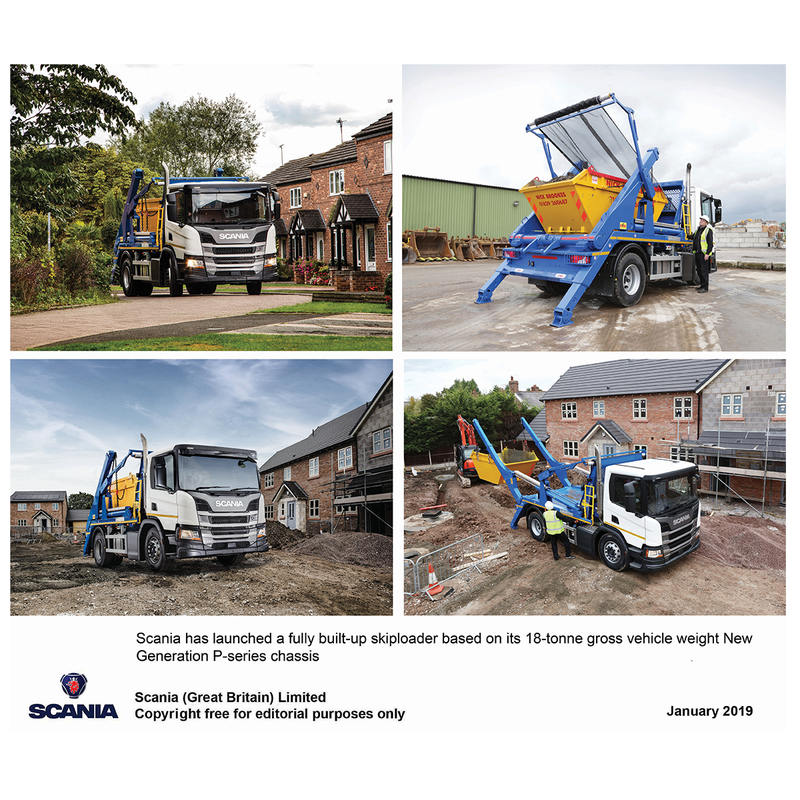 The vehicle, which has been supplied by Scania (Great Britain) Limited’s Purfleet branch, is a 26-tonnes gross vehicle weight L 280 6×2 rigid with a flatbed body and an onboard Palfinger PK19.001 SLD 5 18.5-tonne-metre loader crane. The vehicle is being used as a support truck for City Lifting’s London crane fleet. Commenting on the company’s decision to opt for an L-series model, Managing Director Trevor Jepson says, “As soon as we heard the L-series was coming, I thought it would make an ideal vehicle for use in London. We have seen the construction industry moving towards low cabs, and faced with ever-tightening regulations the L-series represents a positive opportunity to help future-proof the business. Scania’s L-series is an entirely new low-entry cab series designed for urban environment applications such as local distribution, waste and construction. To facilitate safe and easy access and egress, the new cab can be specified with automatic kneeling to give a single 440mm entry step on both sides of the cab. With up to three passenger areas, movement around the inside of the cab is also easy. All L-series cabs are 2,000mm long and available in three roof heights; low, normal and high. In order to help reduce road risk in urban environments, Scania has introduced the option of a low-placed window in the passenger door of new generation P- and L-series models. Known as the Scania City Safe Window, this factory-fitted option enhances the driver’s ability to detect vulnerable road users such as children, cyclists and pedestrians in the immediate vicinity of the truck. City Lifting’s L-series is accredited with five stars – the maximum possible – under TfL’s Direct Vision Standard. While the star rating of every vehicle has to be calculated independently due to variables such as tyre size and chassis height, it is possible to specify the L-series to achieve the highest score. Determining the score involves calculating how much the driver can see of a ‘control volume’ around the truck based on TfL’s analysis of the spots where urban accidents are most likely to occur. The higher the ‘visible volume’, the higher the star rating. Star ratings are becoming increasingly important – from 2020 only trucks with one star or above will automatically be allowed to operate in Greater London. In 2024, that figure rises to three stars.